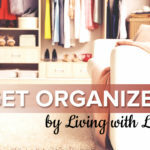 This time of year, when the kids are back in school and our family is back to routines, I’m motivated to get more organized. When shopping for my kids’ school supplies, I usually get myself a calendar that allows me to start the year on whatever month I want. Well, this year I decided to make my own calendar – a cool magnetic dry erase calendar that I can color code and reset each month. I am so excited to use it, which is a good thing because this time of year is a little hard for me. I will admit that by the end of summer, we are all pretty much craving routine, but my emotions range from relief and happiness to sadness. I am happy about getting back into a routine, but sending my babies back to school does make me a little sad as well. It makes me face the reality that they are growing up! I send them off on their first day and try to control the lump in my throat until I am alone and can shed a few tears. Does anyone else go through all these emotions? I tell ya, they get me every year! So, if you want to make one of these cool calendars for yourself, here’s how. Note: You can skip steps 1 and 2 if you are happy with your frame the way it is. 1. 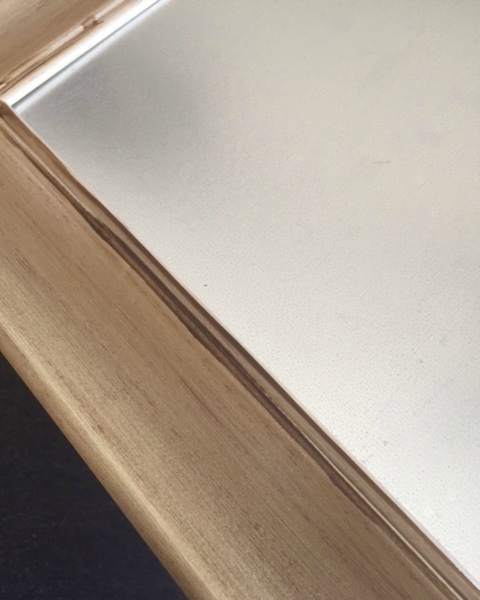 Glaze – The original frame around the board was a light wood. I wanted to add a little dimension to it, so I used the glaze on the wood to bring out the natural grains in it and to add definition to the creases. When using the glaze, just dip your cloth into it and gently rub it onto your wood. Use a dry edge of your cloth or another cloth to wipe it off after you let it set for a few seconds. The longer you let it set, the darker it will get. You can also do a few coats, letting each coat dry in between to get your desired look. 2. Paint – I then took a small paint brush and added some of the metallic sea foam paint to the frame. I lightly painted it and then wiped it off to give it a nice blend, just like I did with the glaze. 3. Draw Lines – Now you have to measure out your lines while being very precise, and if you are a perfectionist like me, this could take a little time. You want to give yourself enough room for the name of the month at the top, days of the week, and five weeks below. I made my lines with a dry erase marker first and then went over them with permanent marker. 4. Make Number Magnets – Use the copper metallic pen to write the numbers 1 – 31 on the circle magnets. Be sure to let them dry before you add them to the board. 5. Month and Days of the Week – Use edging scissors to cut out pieces of scrapbook paper for each month and then followed with smaller pieces for the days of the week. Label the pieces. I used Krazy glue to attach some extra magnets to the back so they can be switched out or changed easily. 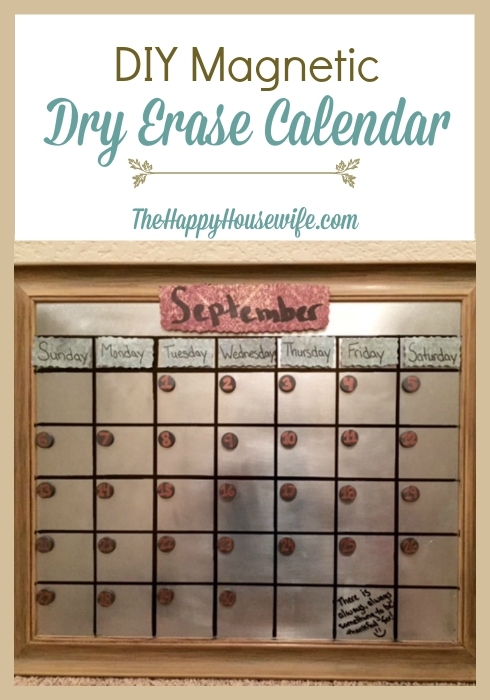 Fill in the calendar using dry erase markers and find a place to hang it up! 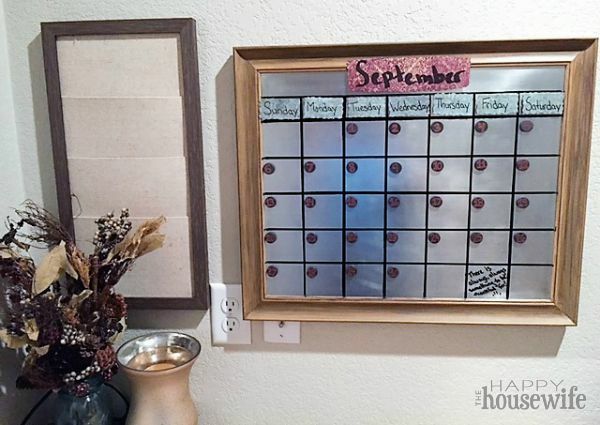 I love the look of this calendar and the fact that I can switch out the scrap book paper whenever I want and just move my magnets around for each new month. 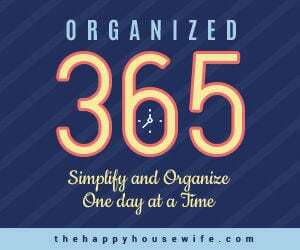 Simple, stylish and systematic!